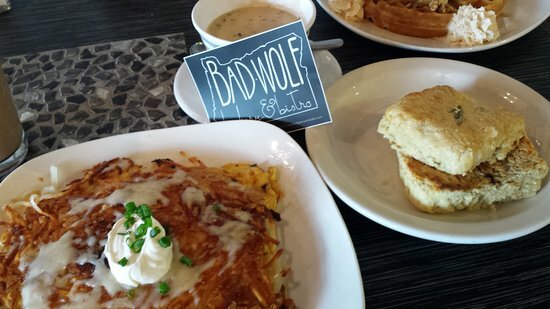 Bad Wolf Bakery and Bistro is a tapas bar and Restaurant. Breakfast, lunch and the appetizer menu is served ALL DAY LONG! Bellatazza is proud to be a local Bend company, supporting other local Bend companies. Along with roasting our own coffee, we mindfully choose to buy our milk, chai, chocolate, and delicious baked goods exclusively from other Bend companies. Featuring Strictly Organic Coffee, Big O' Bagels, My Chai, and Top Leaf Mate. Offering made to order bagels, panini sandwiches, salads and wraps as well as biscuits & gravy. Specialty drinks include smoothies and blended coffees. A full service and custom community? Yes, Crow's Feet Commons is a feeling with direction. We are here to connect people, ideas and dreams. Bringing people together to share stories and laughter. Located in Old Town Bend, we specialize in backcountry and the equipment and sustenance necessary to facilitate your travels. Every item is designed to make you happier, safer, more efficient and smiling more every time you venture off into yonder. Sure, we roast our own coffee. And yes, we are meticulous about the espresso we pull and the cappuccinos we pour. We even labor over our french presses, to a nearly neurotic degree. We want you to enjoy a superlative cup of coffee. Come enjoy our cozy coffee house located on Mirror Pond. We serve only the finest coffee varieties from around the world, all of it roasted right here in Bend. We have freshly baked goods from Sparrow Bakery (including ocean rolls!) delivered daily by bike from Cascade Couriers. The bottom line - we always figured that putting people before products just made good common sense. So far, it’s been working out for us. Our relationships with farmers yield the highest quality coffees. The connections we make in communities create a loyal following. Chef Jaclyn Perez and Betsy McDonald come together to present Bend, Oregon with a unique dining experience. Jaclyn and Betsy met while working on MegaYachts cruising around the world and providing exceptional dining experiences for their clients. The cuisine was completely driven by what was fresh, local and available. 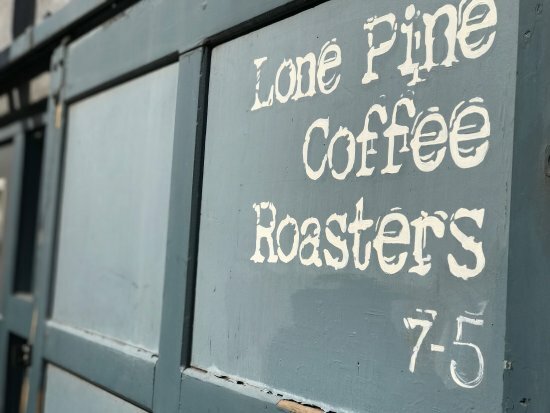 Thump Coffee has been voted best local coffee shop last four years. In the heart of Downtown Bend, we are the locals choice! Opened in January 2008, the Bend Teahouse is a great fit in this cozy mountain-town. Located right downtown next to Great Harvest Bakery on Bond Street, the teahouse offers excellent ambience with warm lighting, a brick wall down one side and a unique blend of sofas and other furnishings.